Yoga and Dance relieve out one's stress and keep the mind and soul healthy. That was a good description about Yoga and Reiki Pri! Many do relieve their stress by celebrating the festivals sprouting each year with their family and friends and bring the true joy of life! Here, let's take a look at one of the important festivals that occur during the beginning of a new year and not to forget the feasts of it. Makara Sankranti is celebrated in many parts of South Asia with some regional variations. It is known by different names and celebrated with different customs in different parts of the region. In other countries too, the day is celebrated but under different names and in different ways. 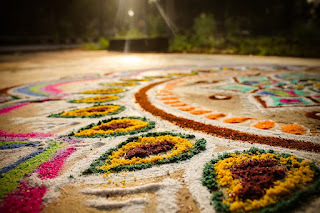 Day 1 - Bhogi which is also known as Bhogi Pandigai. Day 2 - Makara Sankranti which is known as Pedda Panduga in Andhra Pradesh and Pongal in Tamil Nadu. 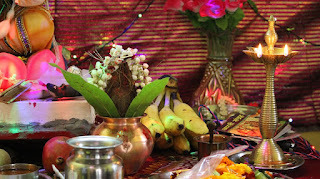 Day 3 - Kanuma Panduga in Andhra Pradesh and Mattu Pongal in Tamil Nadu. 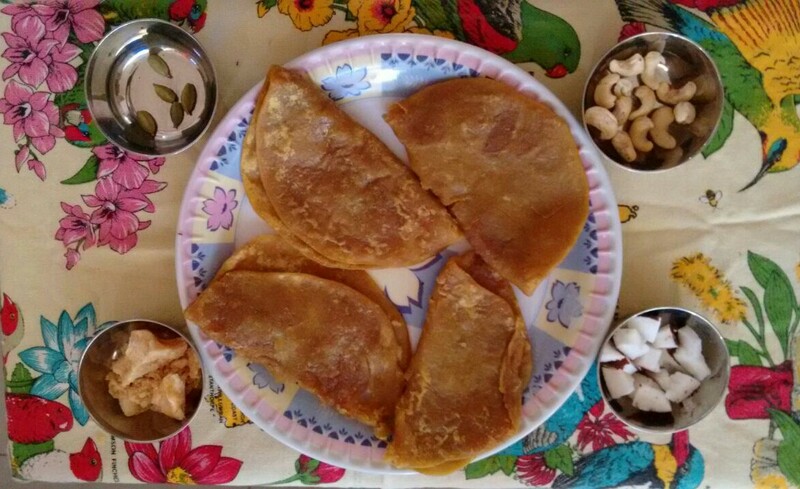 Day 4 - Mukkanuma in Andhra Pradesh and Kaanum Pongal in Tamil Nadu. As each day is celebrated in its own unique way, each festive has different delicacies to relish on. Here let us know the simple, quick and tasty festive relishes. 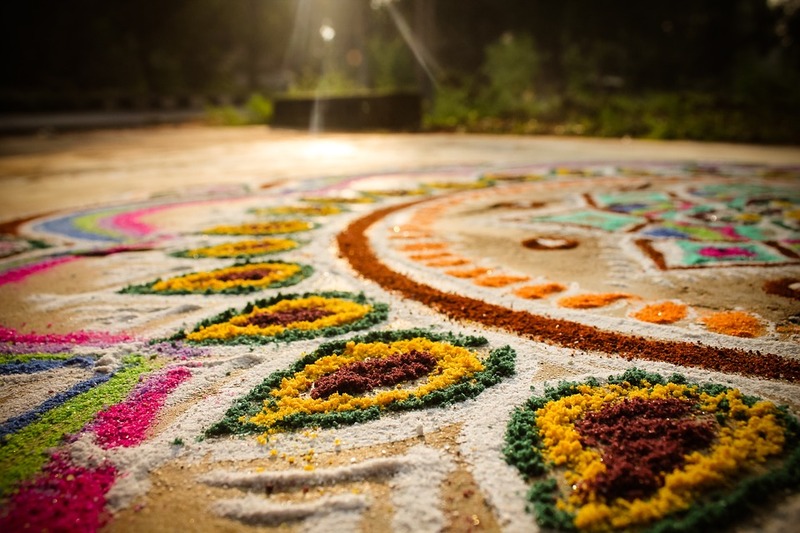 Bhogi is a festival celebrated widely in South India especially Tamil Nadu, Andhra Pradesh and Telangana. The disposal of derelict things, where all old habits, vices, attachment to relations and material things are sacrificed in the fire. On Bhogi, most people relish both in sweet and spice. Let us have a look at the dishes in each of the varieties. Take 1 cup of coconut and blend it. For 1 cup of coconut, take 3/4 cup of jaggery, according to the sweet one requires. 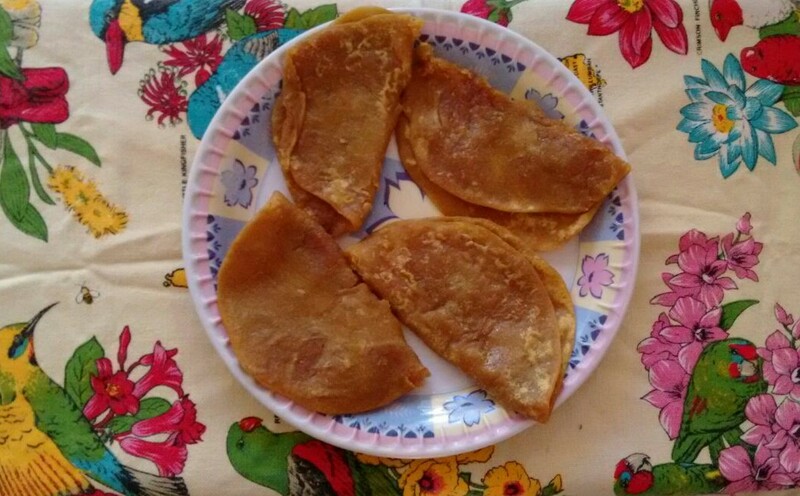 Jaggery has rich iron and calcium content and is good for health. Cut the jaggery into small bits and boil with 1/4 water, then Filter it well. If excess water in the blended coconut, 1 tablespoon of Roasted Bengal gram (Bhuna Chana in Hindi ; Potukadalai in Tamil) to be added. Add 2 tablespoon of ghee in a deep cooking - pot (kadai). While heating the jaggery water, add the blended coconut and keep it aside. Add fried Cashews and Elaichi to augment the taste. Poli - In most of the homes, they take up the All purpose flour (Maida) for making the flatened bread like Roti but a healthy tip would be to use Wheat Flour (Atta). Mix a cup of flour with warm water. Then make small balls out of the flour and in each of these balls stuff the Puran. By rolling pins make them to a flat circles. This is Poli. On the frying pan, add a teaspoon of ghee and heat the poli on either sides. Delicious Puran Poli on our plate! Most of the kids love sweets, this definitely is a healthy, sweet any day snack. In most of the homes, they do Urud Dal Fritter (Ullanda Vadai / Medu Vadai) or Chana dal Fritter (Masala Vadai / Kadalai parupu Vadai). 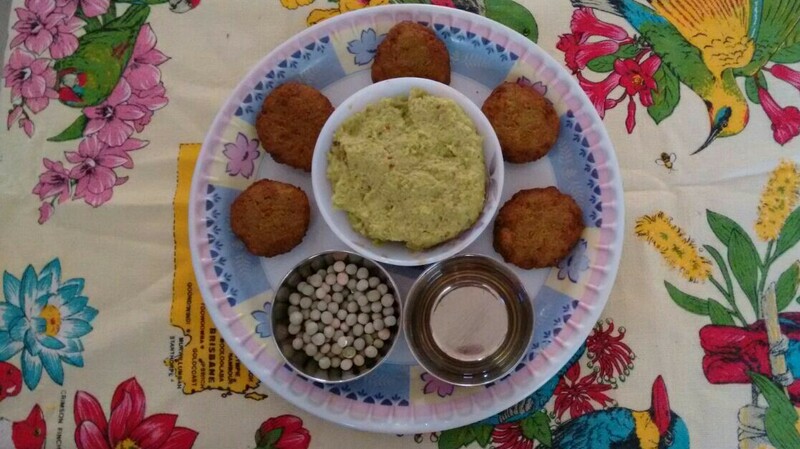 But let us try this Green Peas Vada, a mouth watering, yummy fritter loved by all. Soak 1 bowl of green peas for 8 hrs, mostly the night before in water. Blend the green peas along with Aesafotida (Hing) + 4-5 Red chilly (according to the spice required) + pinch of salt and few curry leaves. Make it a paste not with much water added. Then make as flat small circles and deep fry them. A yummy, quick snack is ready! Healthy Tip: Once in a while deep fry is lovable by all. But we can have it as Sundal (A South Indian Sprouts Boil). Boil the soaked green peas in a Boiling Cooking pot or Cooker and then add a pinch of salt to it. An everyday yummy, healthy kids' snack is ready.